Hey doctors – can we care for ourselves? As doctors we spend all of our time learning to care for others. Our entire education is spent learning all of the latest facts and figures and protocols so that we can provide the best possible health care for others. But in all of that, do we take the time to truly and deeply take care of ourselves? And if not, why not?! Burnout rates in medicine are 40-55%. This is not just something to be a teeny little bit concerned about in the medical profession. This is a global pandemic! It is affecting literally more than half of the medical profession, globally. It would seem in fact, that as doctors, everywhere, that we are not very good at taking care of ourselves. In fact, our culture promotes the opposite. Our culture is about celebrating how tired we are, celebrating how much we can push ourselves beyond our limits. We celebrate and encourage black and dark humour which distances us from people. We celebrate sleep deprivation and long and hard work hours. We decry sensitivity and feelings and distance ourselves from those inconvenient human sorts of things as much as possible and if we feel them we Never. Ever. Let on. that we are affected by things. We are always ‘fine’ even if a colleague has killed themselves or been diagnosed with cancer, or a young patient has died suddenly and gruesomely. Even if we are being bullied, or harassed, or have no true support from and/or are being attacked by our colleagues we will always say that we are ‘fine’. We dare not let on that things are not ok, in case others might join in the haranguing or think less of us. Doctors are notorious for not looking after themselves. We learn that it is ‘patient first’, yet it has long been said ‘Physician, heal thyself’. It must be said that professional mantra has clearly long got lost in the dungeons of the history of medicine where lost annals of wisdom lie gathering musty dust with all of the rats creeping in the darkness! But it nonetheless carries great meaning and relevance to us a modern day physicians. We see a lot of suffering in our lives as doctors, but in that do we truly take the time to take care of ourselves to deal with what we are seeing and experiencing? Or do we run ourselves ragged, chasing the schedules and demands of everyone else, taking life on in order to please everyone to prove that we are a ‘good doctor’? In light of the above, when as doctors do we take care of ourselves? Do we ever take the time to truly restore and regenerate ourselves? Do we ever allow ourselves to truly recognize how much we are affected by what we are seeing, and then what we are experiencing directed towards ourselves by a medical and health care system that offers us no understanding or support? Do we ourselves turn to ourselves to offer ourselves care, solace, love and understanding? In my experience, the answer is a big fat No. Instead, we push ourselves to harden ourselves, to make ourselves toughened up to the world that we find ourselves in. We do not deal with our emotions and we actually pretend that we do not have them. We do not eat well or regularly. Take away food, free pizza, donuts, and epicurean food (read tasty but unhealthy!) is the norm. Wine appreciation is our professional hobby of choice, and we do not sleep well. We have higher rates of anxiety, high psychological distress, suicidal ideation and suicide than the general population. We have high rates of depression and some studies suggest even higher than the general public. Drug addiction is rampant. We have relationships issues like anyone else with some studies suggesting our divorce rates are higher. We have personal issues just like anyone else. A medical degree does not make one immune to human issues and experiences and needs, although we may pretend that it does! Yet, there is no culture of support in medicine for ourselves or each other. And no support for caring for ourselves as doctors. We stigmatise those who have mental health issues and distance ourselves from them. If colleagues are not coping, rather than stepping in to offer loving support we instead castigate them for ‘not doing a good job’. We express frustration, and perhaps anger, rarely care. I’ve heard stories of doctors with mental health issues being managed out of their job, even though there were no actual performance issues, but they were anticipating a potential liability for the hospital so they were ‘risk managed’ rather than cared for. In our profession, we are notorious for condemning, blaming and judging those who do not rise up to our self-chosen standards of perfection and we are absolutely not there for each other, nor for ourselves. There are clear issues with the way we do not care for ourselves and others in our profession. To say otherwise is to be in denial! Given our high rates of ill health it is clear that something needs to change. In the past it has been the culture that to be a doctor you need to be tough and hard, and that it was a sign of weakness to take care of yourself, but it is very clear that this approach is not working. It is harming us all and it is harming the practice of medicine. Resilience is not the answer. To truly look after ourselves and others, we need to truly care for ourselves and to take care of ourselves and others. Only time will tell for each of us, but we first need to start with a platform of empowering ourselves to know that we can care for ourselves. That we are human beings like everyone else. Once we embrace our equal humanity, and rid ourselves of the shame of having feelings and needing support we can start to truly transform ourselves for the true better. Our profession will benefit, and so will our patients who will be enriched by the presence of a healthy and vital and caring doctor willing and open to connection and full care. ← World Health Day – who cares for the carers? Isn’t it interesting that the medical profession is just as negligent or more so of caring for themselves and their colleagues? Maybe the reason some went into this field is to learn this important value in life – self care. Also interesting if we don’t practice self-care for ourselves how can we offer it to others. What I have found with many medical professionals is the ideal/belief that they are personally responsible for each patient’s life or death. How arrogant is that because in truth we are the only one responsible for our life and the timing of our death. Humanity is screaming out for well-being role models, there is a strong possibility that many look to doctors to offer such guidance. Is it possible that the reason people are getting sicker is partly due to the ill-health of the people in the system that supplies the essential information on health? I am a medical student & this week I was doing an elective in a private clinic. One of the doctors was telling me that it is absolutely horrible practicing in a private institute because you practically become a slave. Hi there, in Australia private practice is where you have the most autonomy. Set your own wellbeing and own rhythm first and the work follows. This is so true, it is somewhat ridiculous to give healthy living advice when we do not follow our own words . Dr Maxine , thank you for another insightful article . Wow – when you look at it like this, our society is deeply ill. For if those who are looking to heal and to cure and not even well or practicing self-care themselves what chance have we got? How long will it take us to see the direct correlation between our own actions and what we can offer others? For me, this is something I am starting to finally see – mostly because I get ill when I don’t. Let’s address what you say Maxine, before we all have to get literally sick of our own disregard. I had surgery last week and was told by the anaesthetist that due to my healthy life choices that I was ‘rare’ and that my body would be hypersensitive to the drugs that I would receive and be prescribed post op. It felt tragic to me that I was considered ‘rare’ because I care for my health, am not overweight, don’t smoke, am not on medications and don’t drink alcohol. Caring for ourselves begins way before we become a professional and yet we find the medical profession, particularly doctors some of the least healthy in mind or body. There is definitely something so seriously wrong a system that supports (or does not support) this profession to lead the way in health care. Your blog shows leadership Dr Maxine and it is is sorely needed. 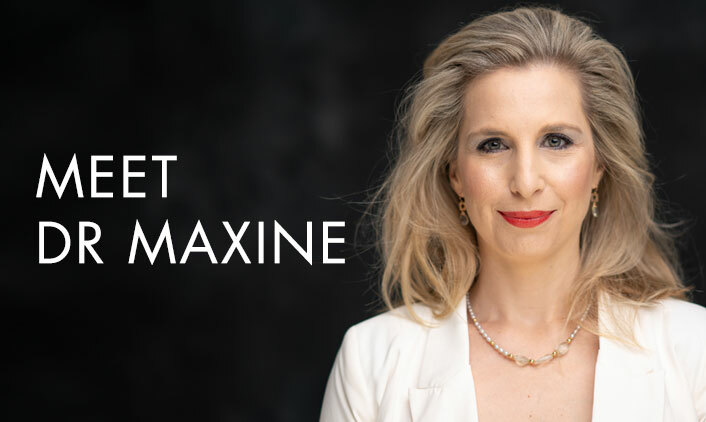 It is an awesome revelation that you have offered us Maxine – and when we do allow ourselves to speak our truth we can feel the empowerment of not holding back. It feels like a very sad comment on society that we have allowed things to come to such a pass where the burn-out rate of our leading health care practitioners is 40 – 55% and while everyone joins in the game of secrets and lies no one will ever win.